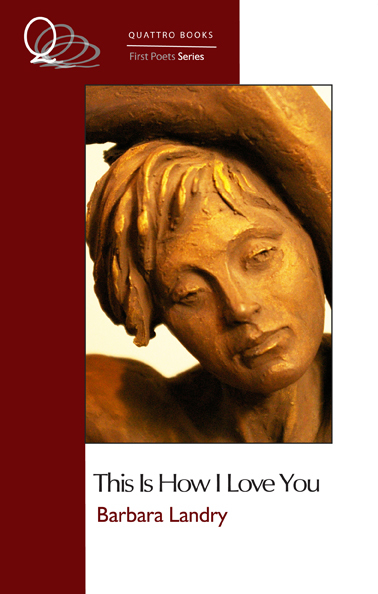 Barbara Landry will be launching her new book of poetry, “This Is How I Love You” on Saturday April 18th at 11am. The poems in This is How I Love You are about the deep familial and spiritual bonds that exist at a visceral level. The inner dialogue surrounding these bonds is the raw material Landry draws from. She writes about losing a beloved sister, a God who whispers in her ear, a solitary afternoon in a Cuban cafÃ©. Landry doesnâ€™t shy away from the big questions and tackles them with courage and humour. With a language that is easily accessible, one containing a distinct musicality and rhythm, these poems leave an imprint on both the ear and the heart. You can also order Barbara Landry’s books through our online store. Previous Previous post: “The Extraordinary Event of Pia H.” book launch on the 18th!